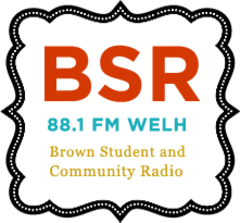 BSR is Brown Student and Community Radio that serves the curious listener on the web at www.bsrlive.com. Localism – We love our city and state! Education – Spread knowledge and ideas! Diversity – Different is great! Entertainment – Have fun and a sense of humor! Public Participation – Get into it! Get involved! “The Brown Network” began in 1936 as the first student-run radio station in the country. It was a carrier-current AM station broadcasting to Brown dorms. Eventually the station’s name was changed to “WBRU-AM.” In 1966, some of the station’s members secured a loan from the University and founded the radio station WBRU-FM (95.5), while others continued the student-oriented AM tradition. WBRU-FM became a commercial corporation, financially and legally separate from Brown University, while WBRU-AM continued to operate for the Brown community and surrounding areas in the college radio tradition. The AM signal in time became virtually inaudible. During the mid-1990s, a few students worked to find a new, more audible outlet for those still broadcasting in the older, experimental, student tradition. In 1997, WBRU-AM became “Brown Student Radio” (BSR) and started broadcasting on WELH-FM (88.1). In the early 2000s, BSR began broadcasting online 24/7 and became a joint student/community collaboration. Alternative news and views from Providence. Radio that serves the curious listener in even more curious ways. This week on Sine Languages: Extended improv, meditation, the sounds that surround us. The first real episode of Sine Languages. Featuring: Alphabet stations, drones, digital experiments and improvisation.